The draft Indian Forest Act, 2019 prepared by the Union government providing these exceptional powers has been shared with the state governments for consultations which are to be completed by June 7. Business Standard reviewed a copy of the draft law and a comparison matrix that the Union government provided between the new draft and the original 1927 law. The draft law also proposes to restore higher management powers and a degree of veto power with the forest bureaucracy over the Forest Rights Act, 2006 Forest officials would be able to deny or extinguish rights over traditional forests of tribals, even those already recognised under the FRA, reduce or restrict tribals and forest dwellers' access to forest produce (which they own under the FRA), and diminish the role of gram sabhas (village assemblies) by running a parallel system of "village forests” in which forest officials would have the last say. 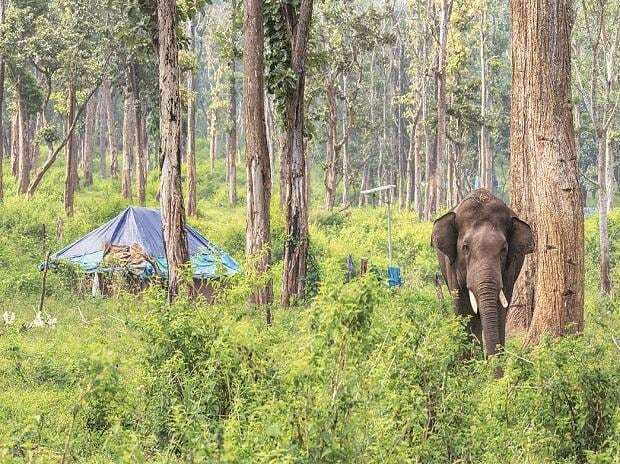 In addition, the Union government has proposed that the Centre will be able to intervene in the states on matters of management of forestlands, overruling the states on several counts when it deems fit. Additionally, the law proposes to open any patch of forests it deems fit for commercial plantations through either the forest administration or through private agencies. The Indian Forest Act, 1927 has been criticized for years for providing immense discretion and powers to the forest bureaucracy to govern areas declared as forestlands of different classes and summarily arrest and prosecute forest-dwellers. On several occasions states have had to cancel prosecution in hundreds of thousands of cases of alleged petty crimes imposed against tribals and other forestdwellers. Many experts and several Central government reports submitted under different political dispensations have blamed the draconian powers of the forest bureaucracy under the Indian Forest Act, 1927 – which the Centre proposed to now enhance – for alienating tribals and also fueling left-wing extremism in Central Indian region. Forest officials, on the other hand, have often contended that they remain they remain the only face of administration over these vast difficult to access territories and have to deal with the difficult challenge of retaining the quality and extent of forest cover in the face of high population pressure and development activities. In order to enhance its police powers and capacities over forestlands, the Union government has proposed that The “State Government / Union Territory Administration shall develop the infra-structure for standardized lock-up rooms for housing the accused, transportation of accused, provide necessary articles for restraining the accused(s), armouries, safe custody of arms, ammunitions, shields, batons, helmets, armours, wireless, etc. to the Forest-officers for implementing the provisions of this Act” in each forest division of the country within two years. The draft law also proposes, “to provide indemnity to Forest-officer using arms etc, to prevent the forest offence. This indemnity shall be in addition to the immunity provided under section 197 of Code of Criminal Procedure 1973 for certain categories of Public Servant.” The immunity provided under the draft forest law is higher than what other government officers are usually provided under various laws and similar to one provided under laws imposed in conflict zones, such as the Armed Forces (Special Powers Act). The new proposed provision for immunity reads, “No Forest-officer shall be arrested for any offence alleged to have been committed or purported to have been committed in discharge of his official duties, without causing out an inquiry by an authority to be notified by the State Government for the purpose. Even state governments would not be permitted to grant sanction for prosecution against forest officials for alleged wrong done or excess committed without first constituting an inquiry under an executive magistrate. On the other hand, the government has proposed to create the opportunity a second and third level review of such decisions and actions of forest officials but these too in several cases would be undertaken by higher level forest officials. Heralding in legal provisions for commercial forestry, the government proposes to create a new class of forests called ‘production forests’ as well as declare any forests as “conservation area for the purpose of enhanced carbon sequestration”. The conservation areas will also be opened to “active forest management for enhancing vegetational growth by reforestation and afforestation.” The government had earlier proposed as a policy to open forests to private commercial plantations. The law creates enabling provisions for it by allowing government to assign forests to non-state entities but not lease it or use it as collateral to raise funds.